Screw-In Sensor with Neck Tube ANDHTFB3 passive sensor features an interchangeable measuring unit and has an application temperature of -50°C … +600°C. The sensor is used to record an accurate measurement of the perceived temperature. With the help of the respective sensors (see below) , the device can be connected to all conventional control and display systems. 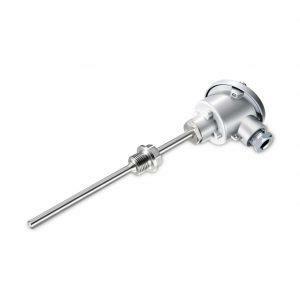 The sensor is directly connected to the pipe to be measured with the help of a stainless steel sleeve and a G1/2″ thread. 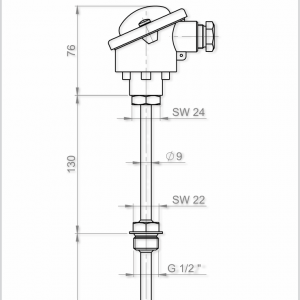 Active Screw-In Sensor with Neck Tube ANDHTFB3/MU.